After my Favorite K-pop Songs of 2014 post (which was very, very late hehe oops) I am back with a new Talking about! Finally! 😀 So glad to have the time and freedom to finally post again! After my 9 month break, I’ve missed lot of good songs, and a lot of good songs as well, but I’ll be talking about a (fairly) recent song, and that is I Need U by BTS! Check out the music video here! I’ve talked about BTS before in a few other posts so check those out if you want to know a little bit more about my opinion. 🙂 Let’s get right into talking about this one! 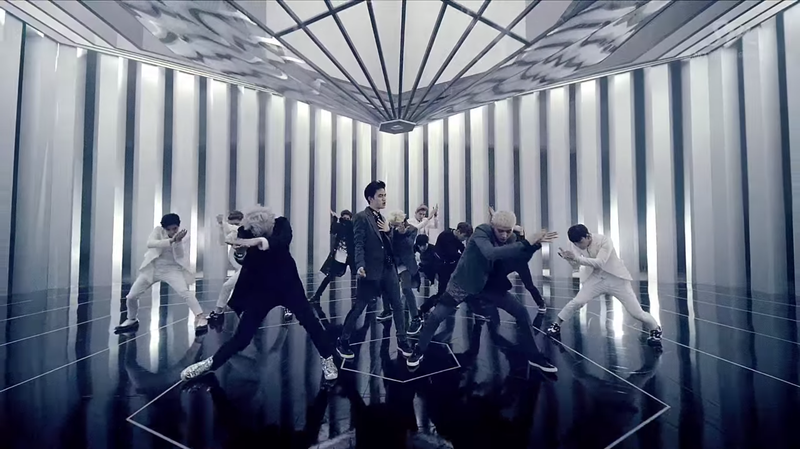 Music Video: First impression I had of it was that it looks really cool! I like how it doesn’t use the closed boxes and unusual rooms that most K-pop videos use (although I have been noticing that more and more of them are steering away from this.) It just looks really cool, and they look really good might I add haha. Another interesting thing I noticed about this music video is that there isn’t any dancing in the video, which is again not very common. The video flaunts a very cinematic look to it and this makes it different from the other videos. Not 100% positive about the storyline, although I do get a general sense of what it is. Overall, super cool locations, awesome looking shots, and great looking people. 😉 I really like the mood the video is setting and the look it’s sporting! LOVE the song, and the video is great! 🙂 Also (in a little extra information), I am LOVING their new album 화양연화! It’s sooo good! Although I really like the title track, the others are just as awesome and catchy. 🙂 If you liked the song, you should definitely give a listen to the album as well. I was happily surprised by this new album BTS released, and it makes me look forward to the songs they’ll release in the future. I’m curious to know what you guys thought of it! BTS fans, let me know what you guys think! A music video for Dope was also released recently, so I’ll talk about it quickly here instead of writing a whole new post. The song is awesome! I love the jazzy feel it has, as well as how groovy it is. I also think that the choreography is pretty dope 🙂 Great songs, performance, and album from a great group! Music Video: What an… interesting video! With live fish eating and vomiting flowers (which looks more graceful in the video than it sounds), this video surely has some unusual things going on. Despite those things, what grabbed my attention the most was Ren. I can’t get over how gorgeous he looks in this video… Seriously! I keep looking at him haha (and who knew he had such a great body I mean.. erm…what? :P) Well… I’ll have to say that I liked the editing (more specifically the transitions) and camerawork at some parts, but I think the excessive lens flares could’ve been excluded (I realize I’m quite picky about lens flares, haha, but it was very blatant in this video). The members and the video looked cool, but I’m still confused about what is happening, and since I know there can be a lot of differences in interpretation, I’d love to know what you think is happening in the video. Let me know! Overall, I like the song (the chorus is seriously growing on me) and the video was cool too I guess hehe. What did you think about? Leave me a comment! Would I download this song? Hm… yeah, why not? 😀 Sorry about this short post, but I’ll make up for it next time with Infinite (ooh look forward to that)! 😀 Thanks for reading! Since I haven’t published posts from other segments, I’ve decided to make up for the lack of those posts by doing one today! 😀 The group I’ll be focusing on is Beast! I personally have been a fan of Beast for quite a long time, and although I guess I could still be considered one, I’m definitely not as obsessed with them as I was around 2011 or so (I believe that’s the year of my crazy fangirling haha :P). Either way, in homage of their success with Good Luck, let’s get to talking about the group! Favorite song? Beast has so many awesome songs. Really. In fact, Good Luck is great too! 😀 Out of all their songs though, my favorite would have to be, hands down, Beautiful. It’s my favorite because this super catchy song made me become a fan of Beast, and with performances from it, I familiarized myself with the group. You definitely should listen to it if you haven’t already! It’s a different style (definitely) from Good Luck, which you might not be used to, but it’s nonetheless my favorite until now. Overall, I really liked the song and the video was cool too! :3 What did you guys think about Solo Day? I would definitely download this track! In fact, I’m also thinking of downloading the album just to check it out! 🙂 I really feel like I’ve missed a lot of stuff to talk about in this post, but I guess that’s a natural consequence when you rewrite the post 3 times (ugh). I hope you guys enjoyed this post, and hopefully I’ll be back sometime soon with a post from another category (such as K-Pop Group of the Day or K-Pop Findings)! I am so happy to be able to talk about god (not in the way you’re probably thinking of :P) with their new release Saturday Night! I was actually planning on talking about them in future posts (wink wink 😉 although that doesn’t really give out what I was planning, but it’ll be out soon :D) but I’ll be taking the opportunity early, especially because I am quite excited about this post! god is a group that was active from 1999 (yes, a long time ago :O ) to 2005, during which they were under JYP Entertainment. In case you were wondering about the origin of their name, apparently god stands for Groove Over Dose. 😛 They have come back together this year (with this album) under SidusHQ. They can pretty much be considered the “veteran boy band” in Korea, being very successful and popular during their time. The members consist of Son Hoyoung, Kim Taewoo, Danny Ahn, Park Joonhyung, and Yoon Kyesang. Just in case you might not be familiar with the group, the name is pronounced g.o.d by spelling out each letter. Song: I’m really enjoying it! This is just a personal preference but I love Kim Taewoo’s voice (Take into consideration this song 😀 This was totally my jam a few years ago) and his enticing voice was a highlight of the song for me. I really like the groove and catchiness, which seem to increase the more I listen to it. This is the type of song I would listen to on a Saturday night (hehe puns that don’t make sense) when I’m dancing to myself… Is that weird? 😛 I guess I’m saying that it kept me in high spirits and wanting to sing along or bob my head at the least. 😛 I think it still preserves the charm of god but in an approachable song that I can listen to often. I am liking this song and I would totally recommend it 😀 What do you guys think about it?